Being gorgeous all day long can be quite stressful, even for a royal. 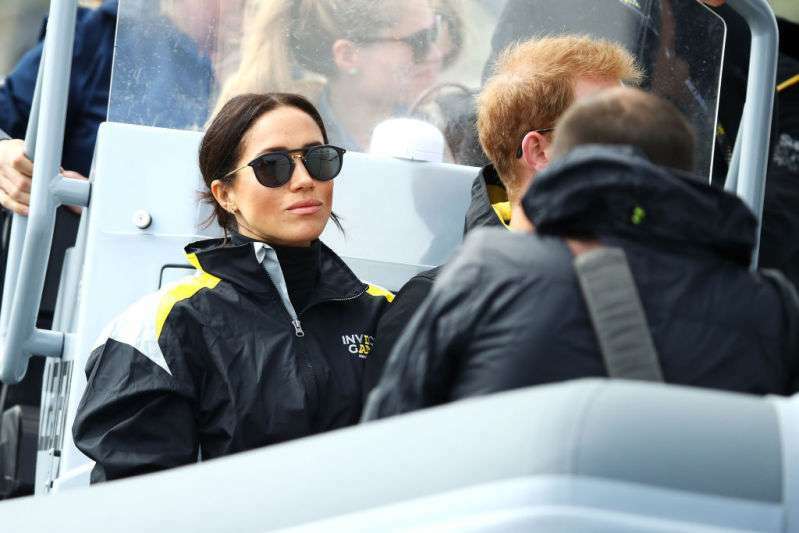 And the Duchess of Sussex Meghan Markle, who seems to be handling it all quite well, can be seen taking a break from the official routine as she opted for more comfortable footwear, breaking away from the protocol. 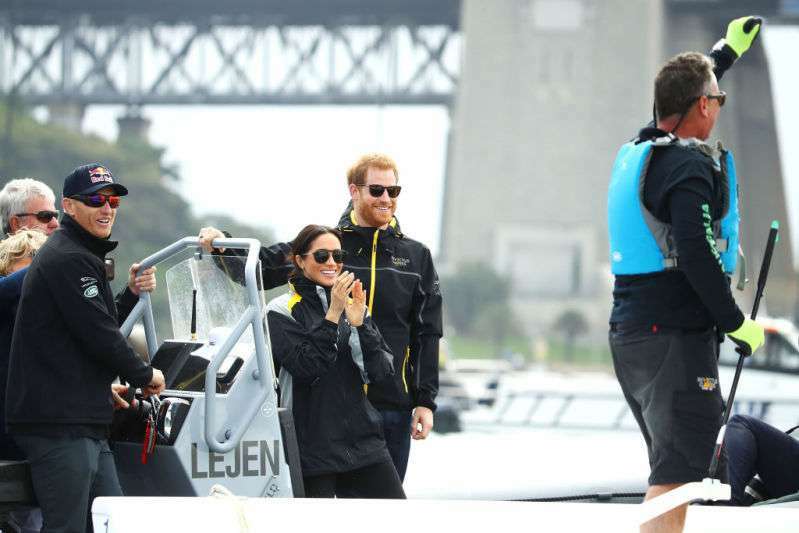 The royal couple, Meghan Markle and Prince Harry, began their first official royal tour a few days ago in Australia and, although they've had a splendid start with gifts and surprises, it seems to be too fast paced for the Duchess, who is expecting their first baby. 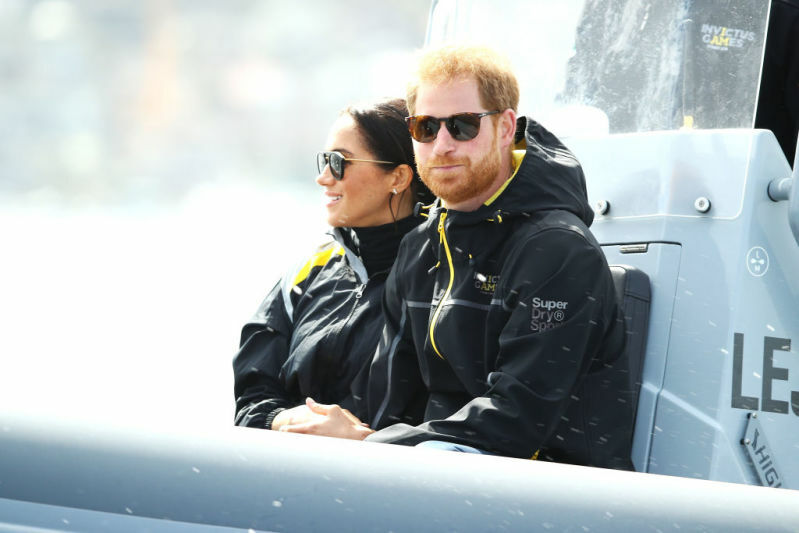 This can be confirmed by the choice of footwear the former actress made while going through the routine of royal duties at the Invictus Games with her husband. Meghan was seen putting on sneakers rather than the normal heels she is known for. The shoe brand of her choice was the French brand Veja, which is well-known for being environmentally conscious, especially when it comes to the materials used to make their shoes. Of course, this is a total break from official royal dress code and routine but considering her condition, with a baby on the way, it seems like a Meghan is going to get a free pass. 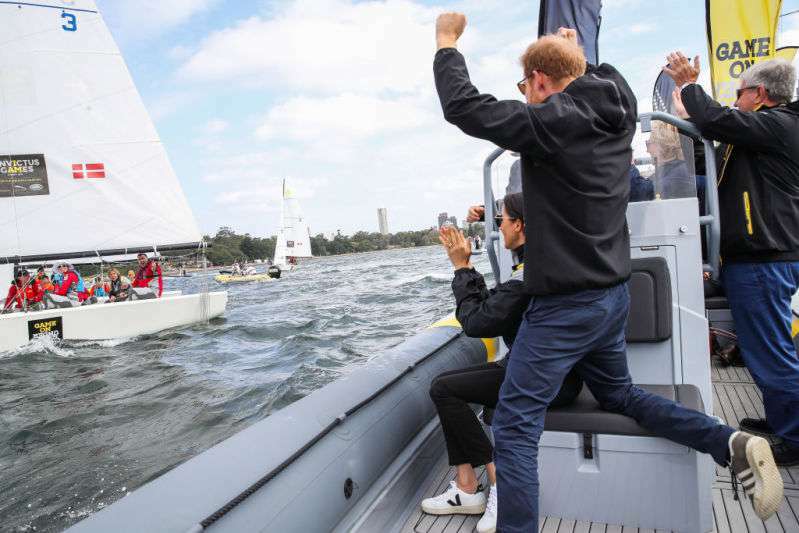 She paired the white sneakers with a good choice of outfit, which was perfect for protecting her from the wind as she watched the sailing tournament. 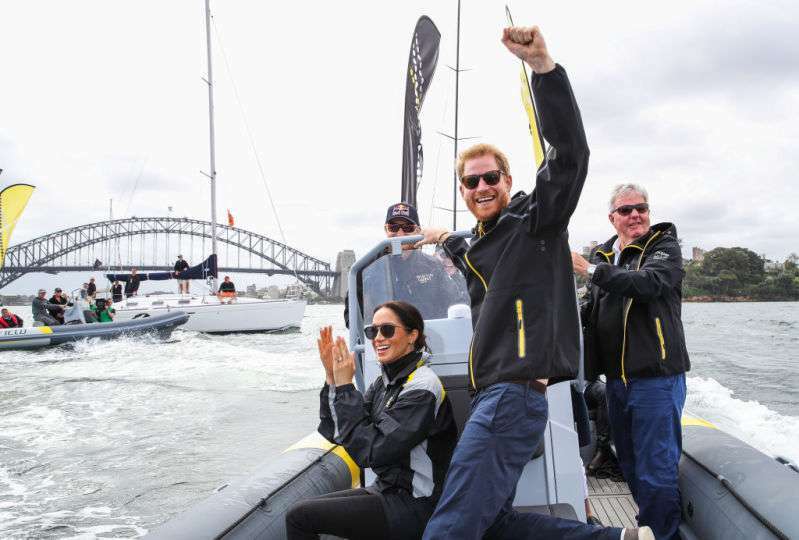 She had black skinny jeans on, and a black and yellow waterproof Invictus Games jacket for the occasion. 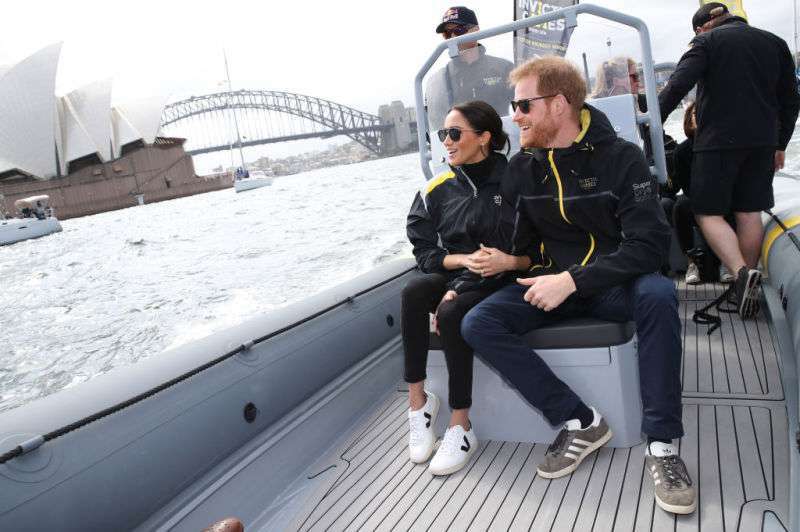 Her husband, Prince Harry, also opted for a simple look, wearing classic Adidas footwear, a pair of jean trousers and the same set of the waterproof jacket as his wife. 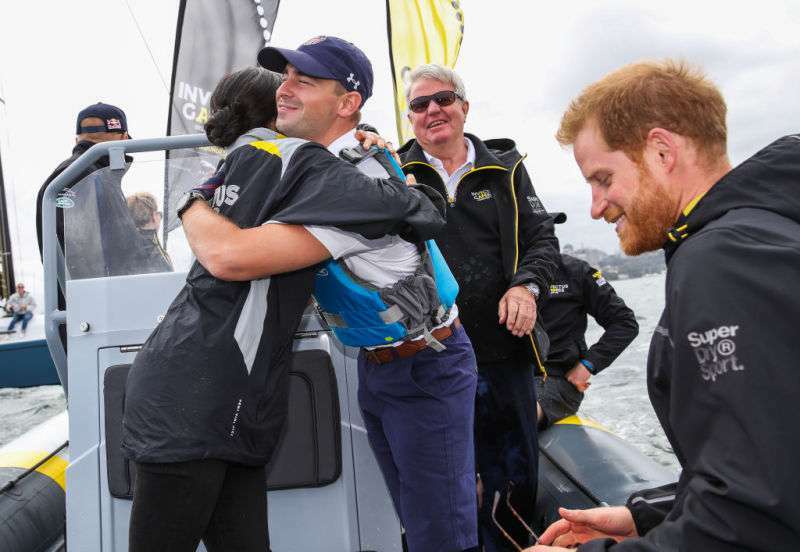 The royal couple, who are well known for being very friendly, happily congratulated contestants as their boats passed by, going as far as offering handshakes. 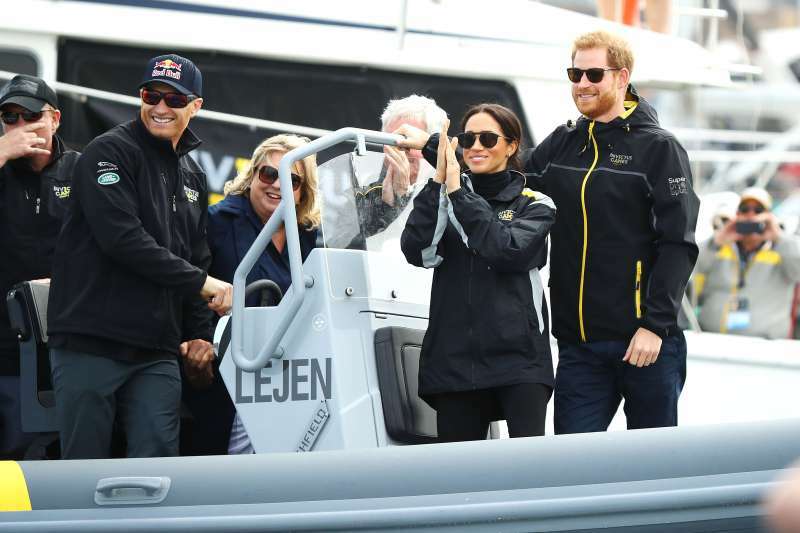 Away from the tournaments and choice of footwear, it has also been noticed that there has been a slight cut in the number of appearances made by the Duchess in the past few days. Well, based on that and on Megan's choice of shoes, it is quite obvious the couple is definitely thinking of their baby.well-being.